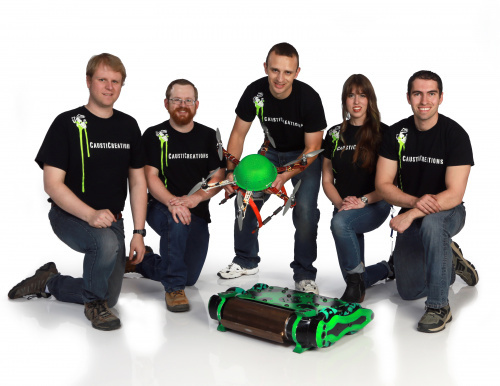 In recent years, some pretty cool things have been happening in robotics. Autonomous cars and even walking robots have been making tons of progress. However, I'm most interested in the new renaissance of robot combat. I remember the exact moment I was hooked: I was at a big family and friends football party, and I didn't understand sportsball at the time, so I was in another room with the other children who lacked sportsball appreciation. We had a small TV tuned to what looked like PBS. There was a marathon of Robot Wars airing, and as soon as I saw Sir Killalot roll out I was hooked. I sat there glued to the screen watching robot after robot try to destroy each other. It's perfect. 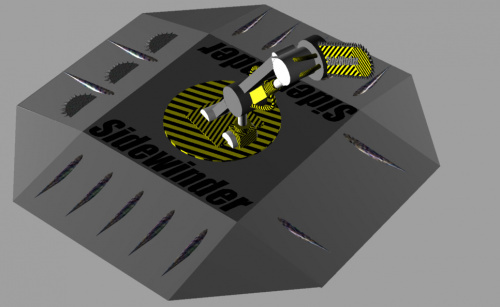 Wedges all around, spikes to stab other bots, a saw that can rotate 360 degrees to cut up anything near it. And if they come up from behind? SURPRISE – saws!!! I hate to say it; this kid's logic is flawless. Did you think of soaking the other bot in acid? Well, you have three minuets to ruin the other guy – acid isn't exactly fast. Then you have to go in the arena and clean it up. I'm not interested in creating a superfund site today. I'd use an EMP weapon. Sure, maybe? But then combat ends up more like capture the flag, which is equally awesome, but not exactly exciting for a robot competition. Combat is more about mechanical/electrical endurance than software corruption. Just blow the other bot up! 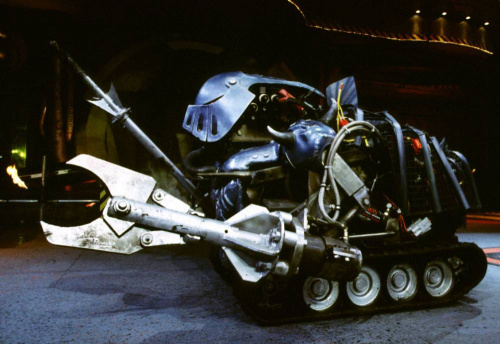 Ok, you have all these ideas: "Let's make the bot out of a bulldozer! I'm going to put a big engine in it! Let's mount a cannon to it!" This is about how all those ideas turn into your first try. The first robot you build is always the worst (most of the time). I learned a ton from this build. I learned about wiring, wood working, motors, batteries and how to connect it all to the #@$% battery backward. It's a surprisingly difficult problem. You want to build something that is fast and nimble for attacking. Yet you also need to build a bot solid enough to survive ridiculous forces. There is a rapid evolution in designs as people consistently find the weakest link in your bot. For some bots it's the armor, for others the electronics. It's the ultimate game of balancing design decisions. You learn all kinds of tricks and ways to hurt yourself as you build. You also get to meet people from all walks of life. That is by far, for me, the most enjoyable part of building and competing. I have worked with and met some amazing people over the years, and I have found no other competition that is so focused on collaboration. No one wants to beat a robot on a technicality. We pitch in with time and parts to help others get ready for the next match. Competitions are like mini hackathons. I have made some of my best friends during the mad dash into the arena. Ok, enough reminiscing, because I think the future is going to be even better! With all the new tech coming out, and the new people joining, it's only going to get more exciting! If you want to know more about the past, read this book. Seriously, read the book. Come to AVC! If you can bring a bot, great! If not, come anyway. 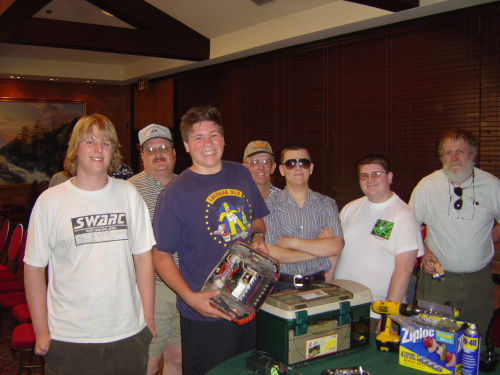 Come check out the bots and meet the builders – they will always make time talk shop with you (unless their match is next). There are other events like this too. WWW.sparc.tools has all kinds of resources you can use to get involved. Once you see it live, you are going to want to compete next time. Ok, you're in. Where do you start? 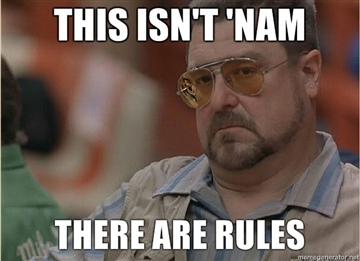 The first rule for any competition is to know the rules! For smaller bots, you have the SPARC ruleset here. We are using the SPARC ruleset for AVC combat this year. If you want to play with the big bots, look here. Or, if you are interested in the exciting world of chess boxing, you can find their rules here. Use anything you can to make a plan. Here is my antweight for AVC combat! 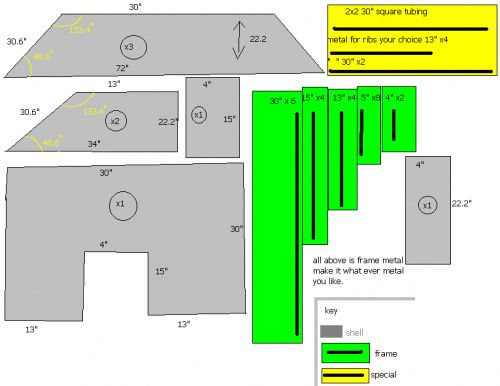 This was drawn in a 3D modeling package, but you don't always have to do that route. Some of my earliest bots were a little more basic. Please, don't make from whatever metal you like. That's terrible advice. Plans help you stay on track. The best thing to do first is weigh all the parts you intend to use, which will give you an idea of how much weight you have for a frame or weapon. You are going to need a frame, so make sure there is weight for that. I've been there; drilling hundreds of "speed holes" at the event is no fun. Don't suffer from analysis paralysis. Lately that has become my personal weakness. Designing a bot for BattleBots takes serious time and financial commitment. How much does it cost to build a heavyweight battlebot? All of it. We spend a considerable amount of time calculating the ratings of motors, bearings, electronics and even the power switch, but at the end of the day it has to get built. Sometimes the build process becomes your muse. We constantly get new ideas as we start putting things together. This is where I think you learn the most. The best designs mean nothing if they never fight. Even if your bot isn't done, show up anyway. 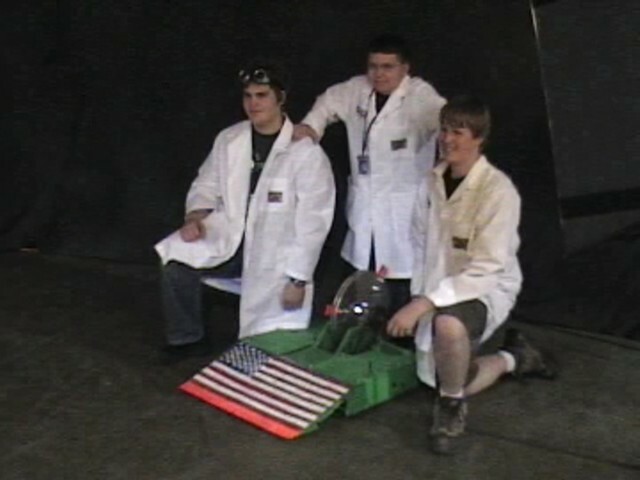 There have been entire robots built the day of a competition. It's crazy, but some people are up for the challenge. Your bot is going to get broken. If you can't handle that, this is not the competition for you. Sometimes this happens after a few fights, sometimes in your first. Early defeat was a tough thing for me to handle when I was younger. Sometimes it's due to a bad design, sometimes it's just bad luck. You have to take it as a learning moment and move on. On the plus side, winners get to buy the first round! Keep building, keep fighting, keep learning. You never know when you are going to get your $#it wrecked by a clown. Come to AVC! Come find me! Our team will be there with Poison Arrow. Come check it out and let's talk about robots! This is how excited I'll be. "The camera that took this picture used a floppy diskâ¦"
All hail the Sony Mavica!!!! I still have the camera. I should see if it still works. Yeah, but can you find a floppy that still works! Even when the Mavica was new, finding a floppy that worked was difficult! Great, great post. Love the history, love the now, love the future. Fun fact: in the theater world we refer to drilling "speed holes" as "airplaining."